Just What the Mixologist Ordered Really happy with the quality of this mixing glass. It is quite sturdy and thick, feeling a bit better than the $15 price that I paid. I have been using the two I ordered for a couple of months now and have no regrets about the purchase. Would highly recommend this as a great value that also has a nice design, better than something plain but not overly stylized. I am so pleased with the quality and I’ve already impressed a couple … This mixing glass is much heavier and higher quality than I expected for the low price. I am so pleased with the quality and I’ve already impressed a couple of friends with it as well.If you want to make great drinks, I recommend stirring with this glass and don’t forget to pick up a good julep strainer to use with it. Excellent Cocktail Pitcher. 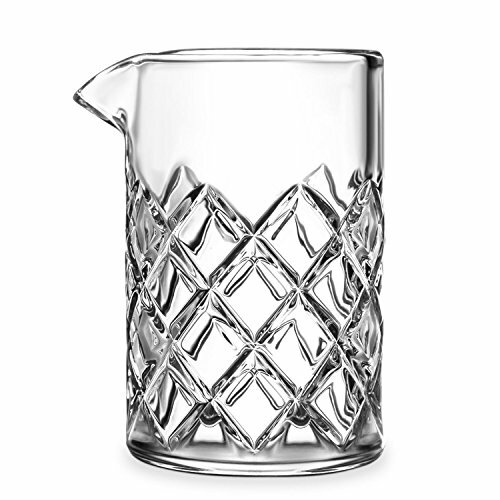 This is an excellent pitcher, would make a very nice gift as it high quality. The glass is thick and heavy as well as impressive looking. We use it for our martinis almost nightly. Fill with ice, pour in our ingredients, let chill, then pour into our glasses with a Julep strainer. This was how our martinis were made on our last cruise and we thought it to be a classy and effective touch.